Just when you thought there’s nothing left on your bike that can be made lighter, Odyssey has gone out and developed a lighter brake cable. Kids don’t ride brakes these days. 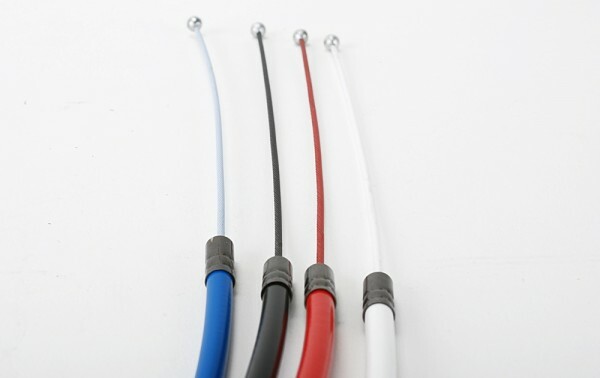 Odyssey has come out with a brake cable, called the Race Linear Slic Kable, that’s 37% lighter than other brake cables. How you ask? They’ve taken their popular Linear Slic Kable housing and replaced the steel linear wire with an aluminum one. I’m extremely curious to see how durable these cables are. Will they stand up? It’s hard to say right now…they’re still pretty new. But I’m sure we’ll find out soon enough, especially when weight-conscious racers get wind of these. I do like the added trick factor of the color-coated inner wires and ball ends though (something not available on the regular Linear Kables). 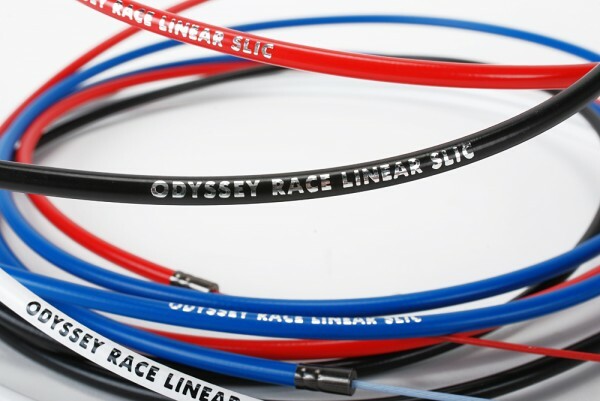 For more on the Race Race Linear Slic Kable, check out the Odyssey Daily Word on it. Logan rocked one of these bad boys on his bike for a while. Lasted as long as a regular linear for him. It is kinda weird that you can literally feel the weight difference when you pick up one of these cables. And yes, color coated cables are a cool touch. I wonder how long it will be before everybody else’s cables are color coated…haha. Logan,cool dude with an even cooler dog.